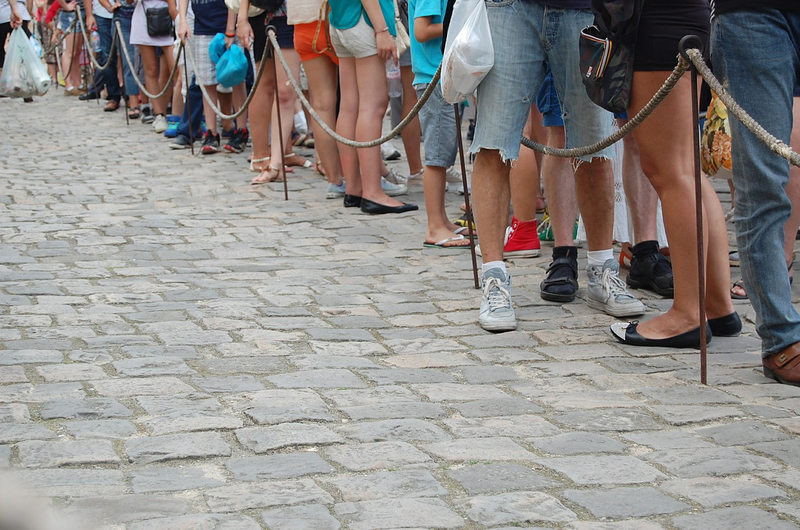 Waiting in line anywhere can be agonizing for some if they are extremely long. Luckily there are a few quick, one-player games on the App Store that can help ease that wait and entertain you at the same time. 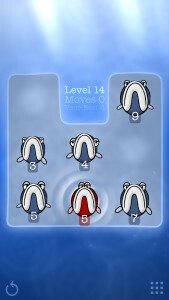 Fisk is a cool, fish-themed puzzle game that can become addictive quickly, it’s also quite challenging. The goal of the game is simple; eat before you are eaten. Each of the over 200 levels begins with you as the red fish in the water with several blue fish. To pass the level, you must eat fish smaller than you and clear the board. Each fish, including yours, is numbered. You cannot eat a fish with a larger number than yours. Swipe left, right, up, and down to devour smaller fish. Each time you eat fish, your number increases by the number on that smaller fish. But, watch out because as you swipe, blue fish may be eating smaller fish of their own thus increasing their number. If you are eaten by a bigger fish than you, or are left with no fish smaller than you, the level is over. There are currently six different sections with chapters in each. You advance to the next level in a chapter by earning one to three stars. In order to unlock other chapters, you must earn certain amounts of stars. The number of stars you receive is based on the number of moves it took you to clear the board. 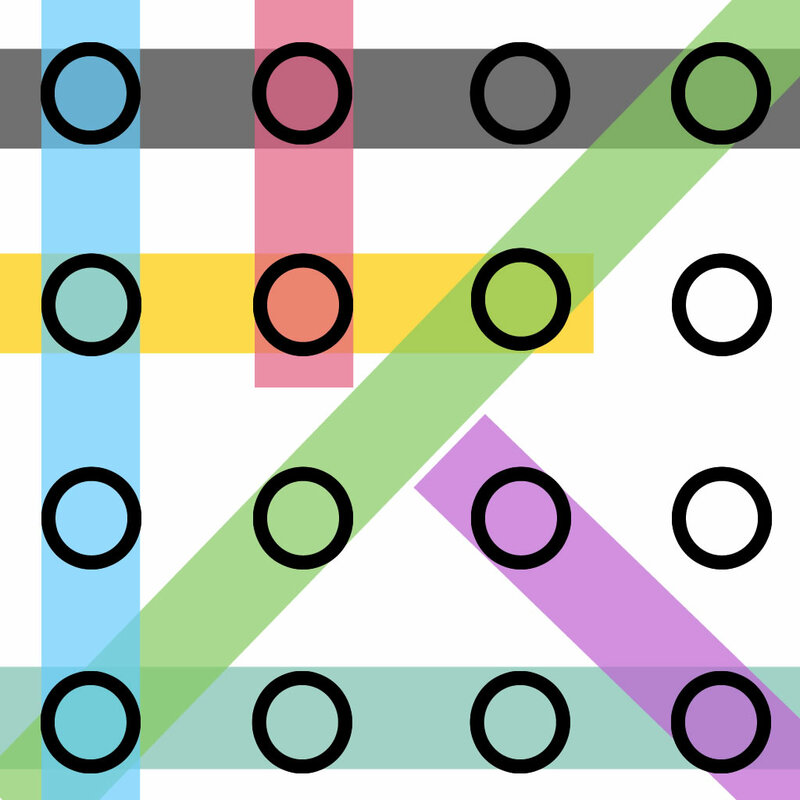 Fisk is a fun game that is not timed and easy to understand and navigate. 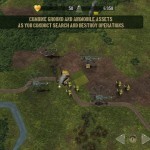 The game is free and offers an in-app purchase to remove the ads. 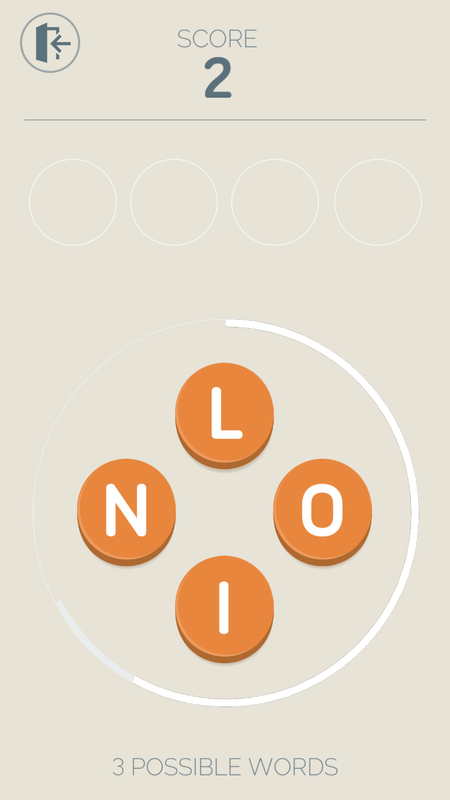 Four Letters is a fun, timed word puzzle game. When you begin you are presented with four letters (imagine that!) with which you are to create words before the timer runs out. Any time lost thinking of a word is mostly regained once you have created a word. 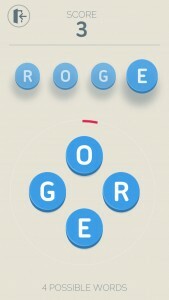 All you do is tap the letters in the correct order to create the word and then you move on to the next set of letters. If you create a word that does not exist, then the letters shake and reset for you to try again. 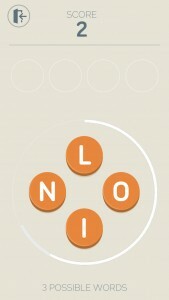 At the bottom of the screen is a count of possible words that can be created with those letters. The goal is to create as many words as possible before time runs out. The game also offers tracking of your last game and overall stats. You also have the option to connect to Facebook and compete with friends. Be aware that there is no way to pause the current game, so if your line starts to move you better find your words fast. 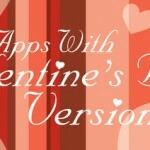 Four Letters is free and offers an in-app purchase to remove the ads. 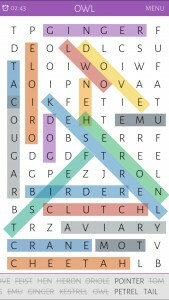 If you enjoy word search puzzles, then Word Search Colorful is a really good choice. 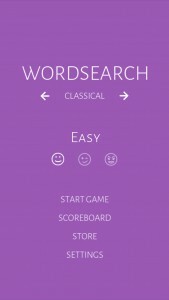 You begin a game by choosing a mode which is either classic or blitz. You can then select from easy, medium, or hard. After that, pick a main category from the list. Categories range from sports to music to flowers to food. 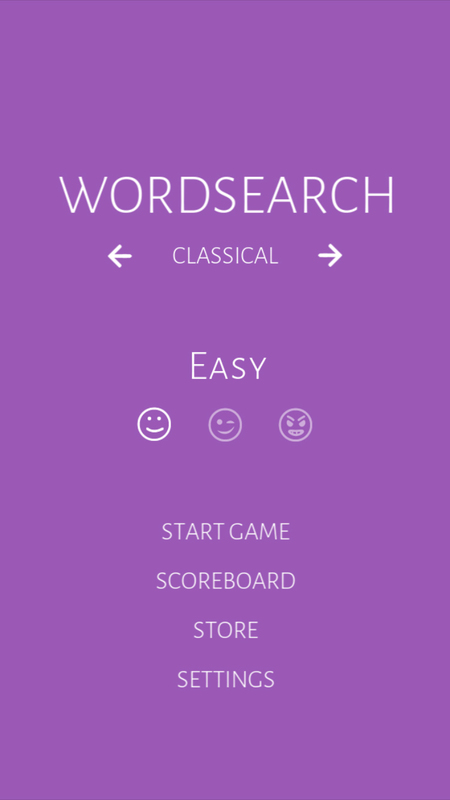 The list of words you must find is scrollable and located at the bottom of the puzzle screen. 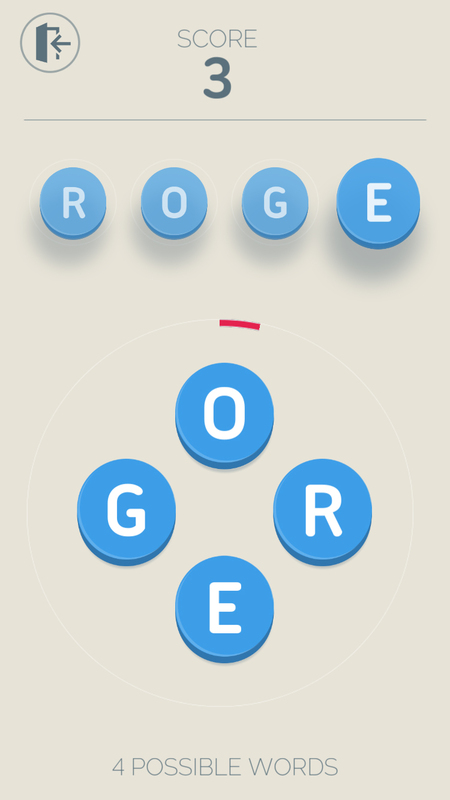 As you drag through letters to make a word, the letters are colored which makes it easier to pick your letters. Once the word is found it remains colored on the board. You can choose from different theme colors for the app as well as turn on or off sounds and notifications and choose your language. You also can pick the colors for the word highlighting. 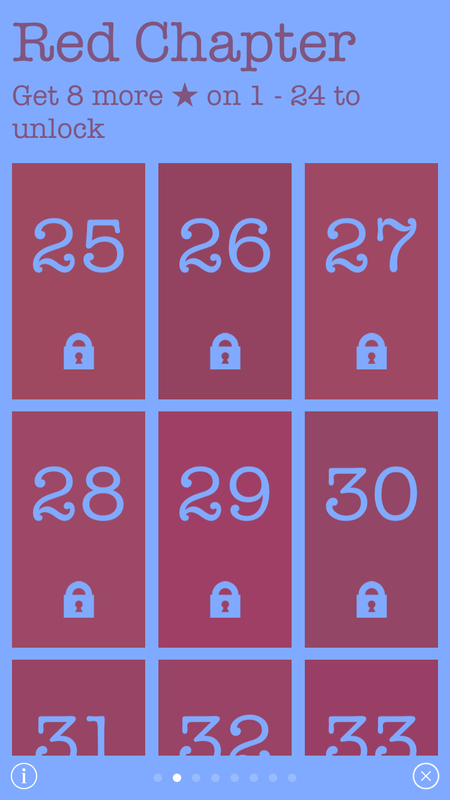 Games are timed, but you do not have to find the words within a certain timeframe. The times are for you to try and better your previous games. You can also pause the current game so that if you are suddenly at the front of your line you can pause and resume later. 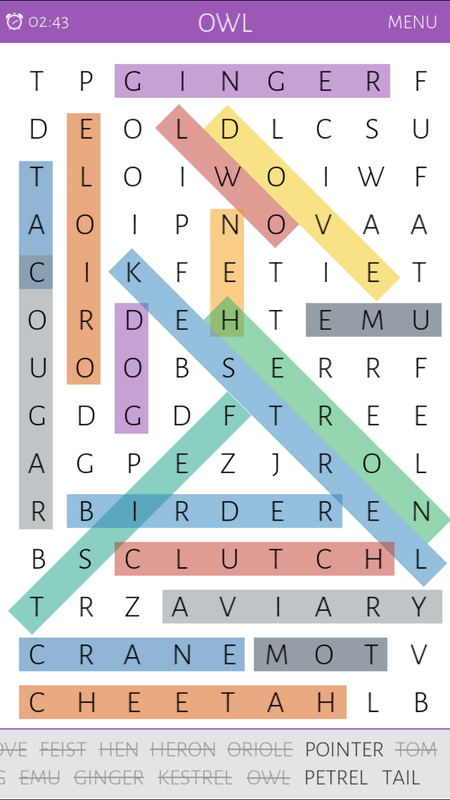 Word Search Colorful is free and offers in-app purchases to remove the ads and unlock additional themes. If people-watching is not your thing and neither is getting aggravated waiting in line, try one of these fun games to pass the time. Fisk, Four Letters, and Word Search Colorful are all available on the App Store.